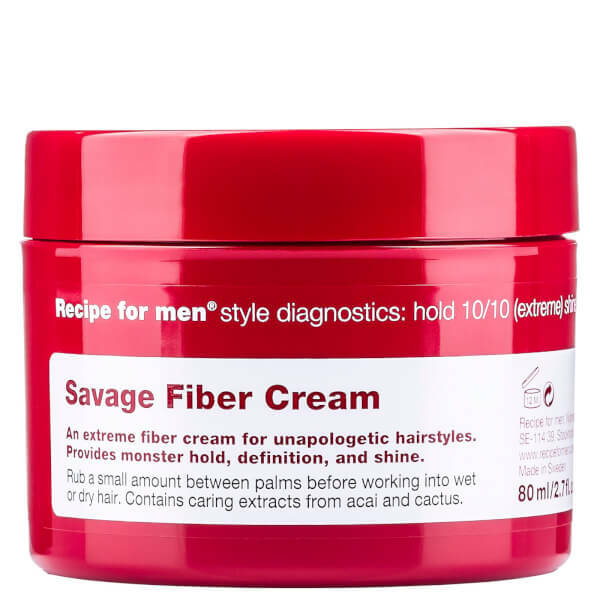 Create salon-worthy styles with Recipe for Men Savage Fibre Cream, a super firm hold hair cream that adds shine and definition to locks. 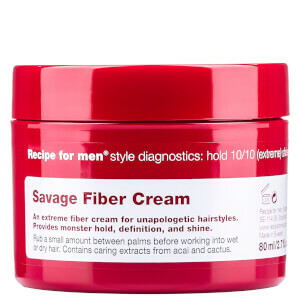 Powerful and long-lasting, the formula creates a solid structure for hair without leaving it heavy or sticky, while also imparting the nourishing benefits of Acai and Cactus for soft, healthy strands. As a result, hair stays perfectly sculpted and shiny throughout the day and night. Rub a small amount between palms to activate the fibre before working into wet or dry hair.